The NADA protocol stands for the National Acupuncture Detoxification Association protocol which promotes detoxification and aid and recovery of addictions, smoking as well as mental calming (and relaxation), using auricular, or ear, acupuncture. Five standard points are used in the outer ear, which systematically and energetically correspond to organ systems in the body, and thus, help promote and engage detoxification pathways. The points used are: Shen Men, Kidney, Lung, Liver and Sympathetic. These auricular points correspond with the various organ system, based on their location on the ear. Because of this, practitioners differ in their administration of the treatment; some will needle both ears in one treatment, others will needle one ear at each treatment (switching sides each time), and both variations have been proven to be effective. 1. Shen Men is also known as the ‘spirit gate’ point in Chinese medicine. It is the central grounding point, calms the mind, and centres the core of the person. 2. Kidney: Encourages trust, self-worth, inner confidence, will power, and calming of fears. 3. Lung; Balances and encourages healthy lung function, as well as helps with feelings of grief and letting go. 4. Liver: Regulating and harmonizing adequate Qi and blood flow, for detoxification. It also aids in promoting acceptance, smooth energy flow, depression, and feelings of stuck or frustration. 5. Sympathetic-it is meant to balance the autonomic nervous system, and the immediate stress reaction known as the fight or flight response. A typical treatment will last roughly 30-45 mins, on a weekly basis for about 6-8 weeks. Patients who receive the treatment report feeling lighter, and more energized, and a reduction in cravings and anxiety, improved sleep and greater optimism towards quitting. It is most effective when used along with other treatment protocols or smoking cessation programs. In naturopathic medicine, herbs such as Passiflora, Avena Sativa, and Lobelia for example, are used to both relax the mind and reduce cravings. Also, when used alongside already existing protocols, have high rates of long-term success. CBT or Cognitive and Behavioral Therapy such as daily thought records are also fundamental pieces to treatment to be used alongside acupuncture and botanical medicine, especially for understanding stressors and triggers. 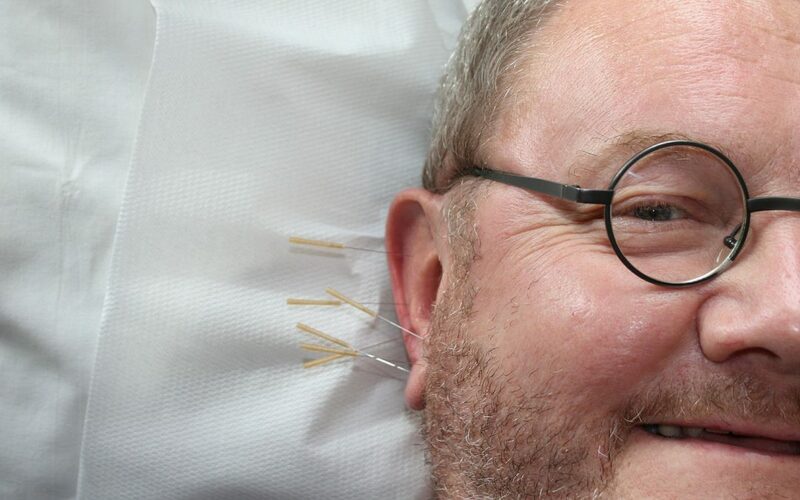 Acupuncture use for additions has been longstanding for many years, dating back to the 1970s. The NADA protocol was developed and at this time, at the Lincoln Hospital in New York. It was originally used for drug and opioid addiction, and still is used as a detoxifying program today. It was known afterwards as the Lincoln Detox Center, and now as the Lincoln Recovery Centre. It was developed within the Acupuncture Clinic and Substance Abuse Division of the Department of Psychiatry at this established hospital. It was soon realized that it was a highly effective treatment for smoking cession as well, in addition to drug and opioid addictions, and is still used prominently today. It has also been shown to be used in the adjective care of post-traumatic-stress-disorder for the US Department of Defence and Veterans Affair (2010), as well as recognized by the US Center for Substance Abuse Treatment (2007). Guidelines and best practices of this protocol have been recognized by the United Nations (2006). The NADA protocol has been shown to increase effectiveness of existing treatments as well, especially when on a smoking cessation protocol or support group. Often times, NADA has been known to be used in a group setting or at group therapy sessions as well as support groups. In addition, working alongside an established practitioner can enable individualized care and progress and to make sure that all aspects of the person’s experience is being accurately assessed and thoroughly investigated for maximum success. However, group settings do offer a sense of support and accountability amongst groups of individuals who are determined to quit together. Having accountability, whether it be in the form of a clinical or practitioner, or from peers, family and friends, or other support systems, is highly valuable and highly recommended for the greatest success in quitting and for long-term and lasting results. Start your smoke-free life with Docere Wellness Centre. Contact us for more info!